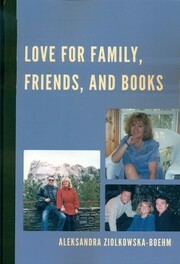 2 editions of Love for Family, Friends, and Books found in the catalog. Add another edition? Are you sure you want to remove Love for Family, Friends, and Books from your list? Published 2015 by Hamilton Books An Imprint of Rowman & Littlefiedl in Lanham, Boulder, New York, Toronto, Plymouth, UK . An autobiography unlike other literary forms shows the ego of an author. Aleksandra Ziolkowska-Boehm’s ego is delicate, fascinating, and courageous. Some fragments are almost like a movie with interesting dialog, compelling moments, and realistic characters. Vividly portrayed are dedicated and devoted parents who instilled a love for reading and books that formed the foundation for her career. Detailed descriptions of coping with the rigors of achieving an advanced education, career start, and caring, rearing and devoting love to a young son are outstanding. Aleksandra Ziolkowska Boehm, emerges in this fascinating book as a complex, questing Polish/Canadian/American individual. She draws us, like threads through a tapestry, into the contrasting worlds of both Polish and American writers, musicians, journalists and artists and gives us unique glimpses into the minds of high officials and behind the scene views of Polish and American drama. Amusing, seemingly trivial, matters are interwoven with magical moments of significant value. Aleksandra writes with moving honesty and candor about herself. She gives the reader a total sense of being right there with her—as she movingly recalls her childhood and formative years in Poland. As a student her destiny is interwoven with the great Polish writer Melchior Wańkowicz and his enlightened circle. We watch her growing and changing as she bonds with her son and beloved animals, as she travels around the planet, falls in love, marries an adventurous American and sympathetically evaluates her split worlds. Romantic, loving, strong, brilliant and intently responsive—this is Aleksandra, whose wise perceptions, struggles, failures and achievements illuminate and inspire us through this powerful and beautifully written book. Through Aleksandra Ziolkowska-Boehm’s award-winning writings about Poles, Americans and Canadians and her personal visits, she has become an excellent ambassador for all three countries. 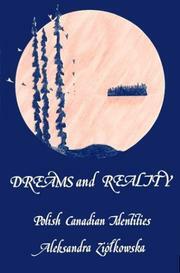 The author's writings have motivated many Canadian citizens to rediscover their Polish roots. Ziolkowska’s storytelling talents are on full display. This is more than an autobiography. Through the storyteller’s art, her talent becomes a lens for larger events, as well as her own life: from Warsaw to the Crazy Horse memorial that members of her family are carving in South Dakota, from Zbigniew Brzeziñski to Pope John Paul II. "A good book to read by the fireplace, with a cup of tea in hand". “In her autobiography, Love for Family, Friends, and Books, Aleksandra Ziolkowska-Boehm recounts the major events in her life starting in Poland and winding through England, Canada, and finally the United States. Using the unique literary device of forgoing the narrative structure, Ziolkowska-Boehm instead relates memories by drifting from topic to topic highlighting the important experiences of her life. Born in Łódź, to a family that emphasized reading and education, Aleksandra seemed destined to be an academic and writer. Indeed, even after giving birth to her son in 1969 she still continued on with her studies at the University of Łódź to earn her Master’s degree. For her Master’s thesis she chose Melchior Wańkowicz as her topic as her father had a substantial collection of his books. After his interview, Wańkowicz asked to see Aleksandra’s thesis so far. He was so impressed by her analysis of his works that he hired her as his research assistant. Under his tutelage, Ziolkowska-Boehm launched her writing career. As we move through life there are many people and experiences and memories that touch our lives and leave lasting impressions that shape our lives forever. How wonderful that you have been able to put your rich life experiences down on paper. You have written extensively about other people praising their contributions to life and country. It was time to share yourself, family and friends with your readers. What a nicely illustrated and very personal book - which I am happy to have. You have done a nice job recording the high points and the joy point of your life. Some fragments are almost like a movie with interesting dialog, compelling moments and realistic characters. The autobiography presents the author’s recollections of her childhood, school and university years, travels abroad, and contacts and meetings with recognized people of achievement in the fields of writing, art, theater and politics. The book clearly demonstrates the author’s ability to write openly about personal matters, family and socializing among the intelligentsia. Polish life, immigrant stories and impressions and experiences of life in Canada and the United States are supplemented by keen observations of European, Canadian and American cultures. The many family, friends and acquaintances of the author become personal to the reader. But most intriguing of them is the famed Polish writer Melchior Wankowicz whose influence and mentoring are acknowledged, deeply appreciated, praised and never forgotten by the author. I found many interesting fragments that moved me and gave thoughts to think. “A good book to read by the fireplace, with a cup of tea in hand”. May 8, 2016 Edited by Aleksandra Ziolkowska-Boehm Edited without comment. January 31, 2016 Edited by Aleksandra Ziolkowska-Boehm Edited without comment. May 12, 2015 Created by Aleksandra Ziolkowska-Boehm Added new book.